*Read Part I of the interview here. 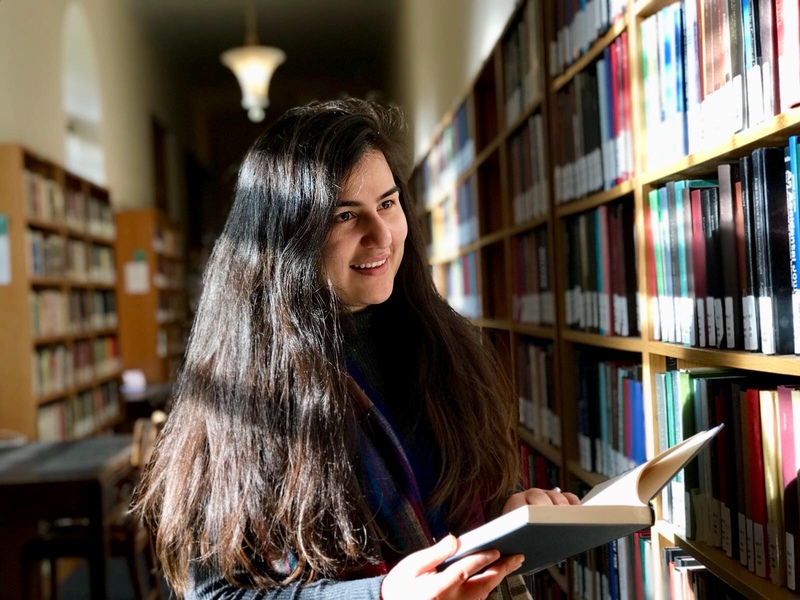 When we asked Rabia whether she felt universities could do more for prospective applicants from refugee backgrounds prior to applying, she highlighted the need for information to be more visible. “Websites”, she said, should provide “information in different languages”, especially for parents who might not be comfortable working through the piles of university guidance available in English. Outreach initiatives, such as visits to schools by access officers and successful students from similar backgrounds, are also key “for all types of students”: “I remember I went back into my school – to my sixth form – to talk about sociology at university”. “And they were asking me: what do you do? What did you get for your exam? How did you find applying? Why did you apply?” Answers to “those kinds of questions, but for a refugee situation, would be useful”. But this kind of information is not particularly visible, in her experience. Rabia suggested that there should be “someone at universities that can be a point of contact for these kind of questions” – someone who can be easily found and talked to. Rabia offered one potential solution: to advertise this position through other organisations such as ACAA. If there’s a refugee organisation in the area, say that ‘In our university we have this officer who could answer questions.’” Her argument was partly that universities need to become more proactive. Of course, we couldn’t help but ask her about her recent experiences as a student at Cambridge. She praised the University – and her college, Lucy Cavendish, in particular – for being welcoming and “pro-active” in working for representation. “They try to ensure that there are different voices that can be seen, both on the website, or in publications, so people can feel more confident about applying or asking a question.” They don’t need to be afraid of “what people are going to assume” about them. “When I did first come”, “everyone said ‘Do you need any help?’ or ‘We’re happy to help you.’” She mentioned the Cavendish Chronicle, for which she is BME editor – as an example. ““The aim of the BME editor” is “to ensure that the information that is written includes diverse opinions and people from different backgrounds, so that” current and prospective students “looking at this particular publication” “from the outside” can feel “like this University is open to people from different backgrounds and its not what people might think, from what’s been said to them.” They don’t need to be afraid of “what people are going to assume” about them. At this point, Esther asked Rabia a question about how refugees (or others from marginalised backgrounds) can go about making Oxbridge applications, with their very different history and type of education. Rabia made a very interesting reply: lots of refuges, who “might not know of many universities”, “know Oxford and Cambridge – because when they weren’t in the UK, they’ve probably heard of them in their country.” “They’re like – ‘Oh My God, that person went to Cambridge, that’s amazing.’ They seem to already possess a lot of information and sometimes in some ways, it can be negative if that’s the only understanding that you have about good universities.” She described a hypothetical situation where a parent might have unrealistic expectations for their child to attend Oxford or Cambridge, out of a lack of understanding about the difficulties involved for entry. If the child feels that they might not get in, or isn’t “really at that expected level, it can put [them] off other universities.” Refugees might not appreciate the fact that they can “always come back for a masters or come back for a PhD, it’s not the end”. Finally, we asked Rabia if she had any advice for people from refugee backgrounds considering university. “Start to look at entry requirements quite early on” so “that you’re not just relying on your results, and you can start to build your personal statement.” “You should give yourself some time and you should start looking at university whilst you’re in college.” For Cambridge in particular, she emphasises that students shouldn’t feel intimidated: “don’t be put off by the name” – “there’s no harm in trying.” Practically, she also advised preparing applications well in advance, to avoid rushing, and to be aware of the early Oxbridge application deadline. As our interview drew to a close, Rabia remarked on how the media attention on her background was an interesting experience for her. Reflecting on her childhood, she says the circumstances of her arrival did not necessarily affect her upbringing and that she had never before been so conscious of herself as a refugee. She was never “constantly thinking about it” because, she says, “you’ve moved on from that”. Next Next post: Panel Discussion Part I: How do we support refugees in post-conflict transition?